Here comes the new notification from the Public Service Commission department of Jharkhand Government. JPSC Recruitment department issued an official notification in the PDF format on their official website in which they are inviting all fresher Engineer Graduates to apply for this recruitment process 2018. All eligible and interested applicants who wants to serve the Government of Jharkhand can apply for this Assistant Engineer recruitment process 2018. All Government jobs Application must be submitted in the prescribed format only. Only those applicants are eligible who satisfied all the eligibility conditions which we mentioned below in this article. 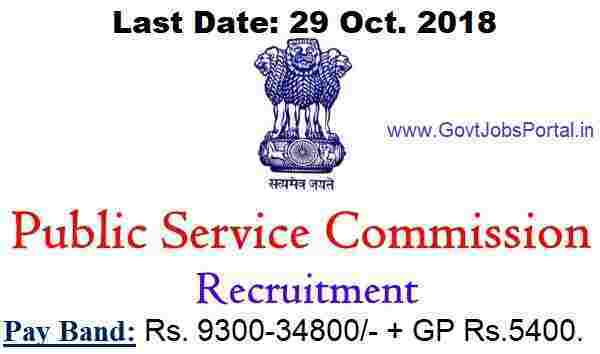 So read it carefully till end before applying online for these Government jobs in India 2018. Vacancies to be Occupied: 57 Posts. Pay Band: Rs. 9300-34800/- + GP Rs.5400. Education: Those who have completed their B.E / B.Tech in Civil/ Mechanical Engineering can apply for these Government jobs for Engineer posts. Age Bond: All Fresher Indian Candidates are eligible whose have age in between 21 years to 35 years for applying these Engineering Jobs in Government sector 2018. Paying Method: Aspirants have to pay the application fee through online as well as offline process for applying. The various methods for the payment of the application is: “Debit Card/Credit Card or Net Banking” (OR) Bank Challan through SBI Bank. 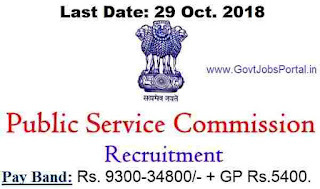 Persons who fulfilled entirely all the suitability conditions which we mentioned above in this article can apply online through the official website of JPSC (http://www.jpsc.gov.in). We also shared the direct link below under IMPORTANT LINK section. The JPSC department is currently activated the Link for applying online and the link will be remain activated up to 29th Oct. 2018. Applicants have to apply online before the Last date. There is no other process for applying these Govt jobs for Engineers 2018. 29th Oct. 2018 is the Last date to apply.